People's Grocery, a West Oakland nonprofit dedicated to "feeding people, whether that's through growing food or educating people," according to executive director Wanda Stewart, is hosting a weekend-long community celebration and fundraiser this Friday and Saturday, February 27 and 28. The party, "A People's Party: Know Our History, Grow Our Future," will consist of two parts: Friday's focus is on history, with a panel moderated by lawyer and civil rights leader Howard Moore and a short film by Carl Anthony, followed by a family-friendly dance party, and, of course, food samples made by People's Grocery fellows. The celebration starts at 6:30 p.m. and will be held in the California Hotel (3501 San Pablo Ave.). Donations will be accepted at the door. The party continues Saturday at 10 a.m. at the People's Grocery-run California Hotel Garden for part two, "Grow Our Future." In addition to planting the garden's herb spiral, participants will bury a time capsule. There will be a farmers'/makers' market, drumming, smoothies, and storytelling. 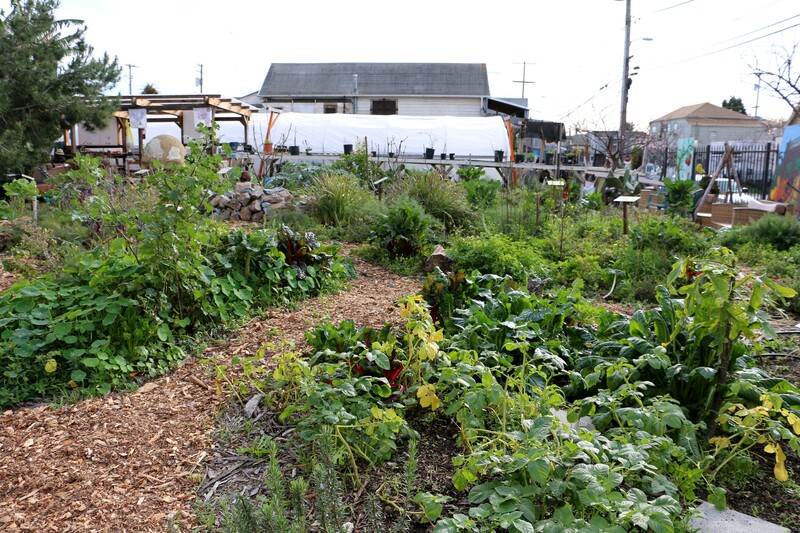 The open hours on Saturday are a chance for visitors to see one of West Oakland's most vibrant examples of urban agriculture. 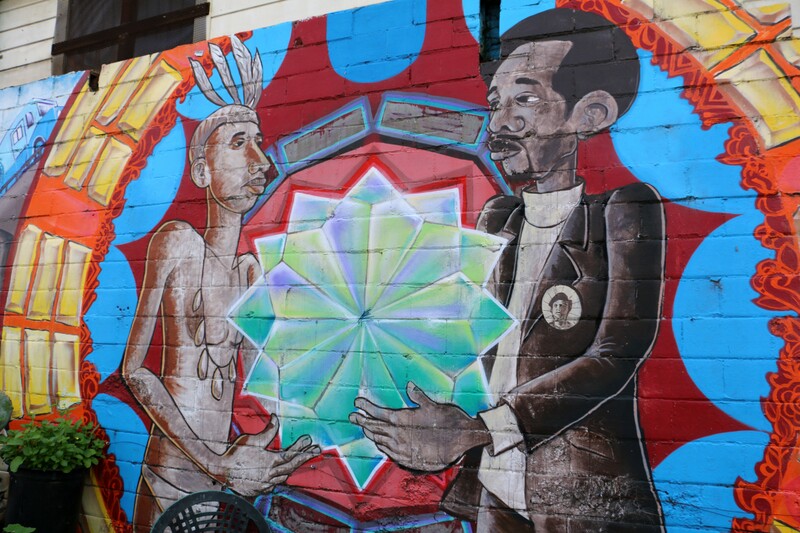 At the California Hotel Garden, collard greens tower in front of a Black History mural. "Collard greens are an important vegetable for African Americans. So what we do is reintroduce the collards, talk to folks about high blood pressure and diabetes instead of being like 'take this pill,'" garden director Heather Smith said. "The point is to empower African Americans, and that will empower the whole community," Stewart said.